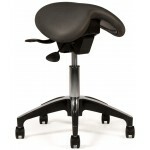 Excellent support and comfort for all day use. 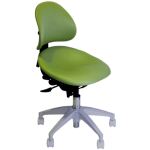 Standard Features: Seamless upholstery with rounded edges to minimize pressure at the back of the leg Lever for coordinat.. 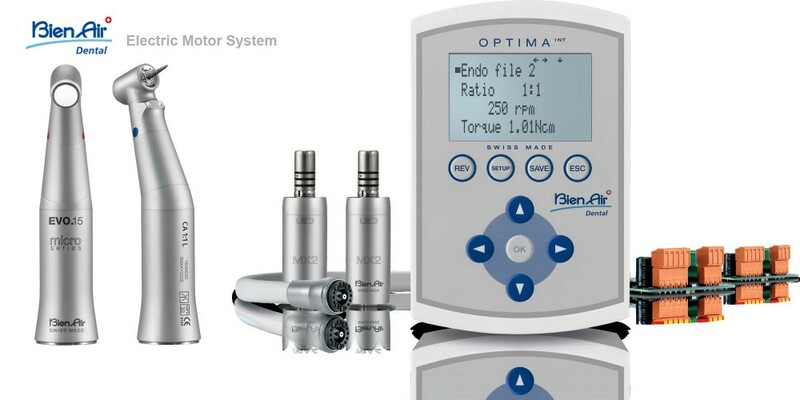 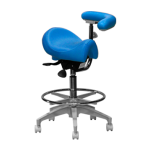 Exclusive 360° Dynamic Motion technology helps strengthen back muscles, reduce back pain & minimize sitting fatigue• Easily adjust seat height and level of dynamic motion desired with convenient c..
11001 Series Traditional Pneumatic Stools Designed for Comfort. 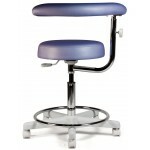 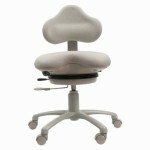 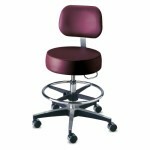 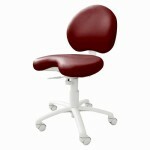 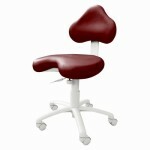 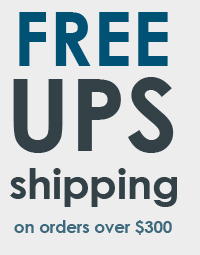 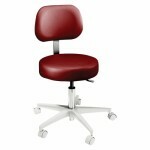 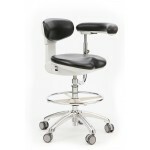 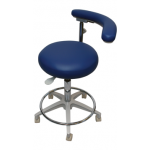 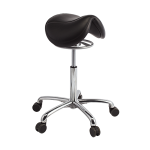 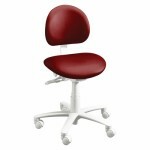 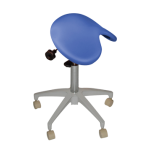 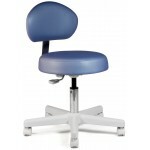 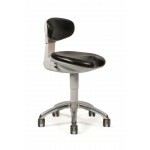 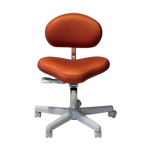 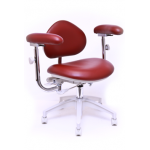 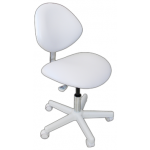 Our pneumatic stools feature a contemporary design, stylish comfort, and select options that meet the n..
2000 Series FEATURES The Seat Round, 15” seat cushion 4" Thick The Backrest Contoured backrest with aseptic shroud (optional) ..
3300 Series Ergonomics, Comfort, Durability … All at a Great Price. 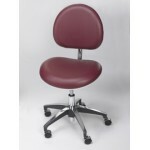 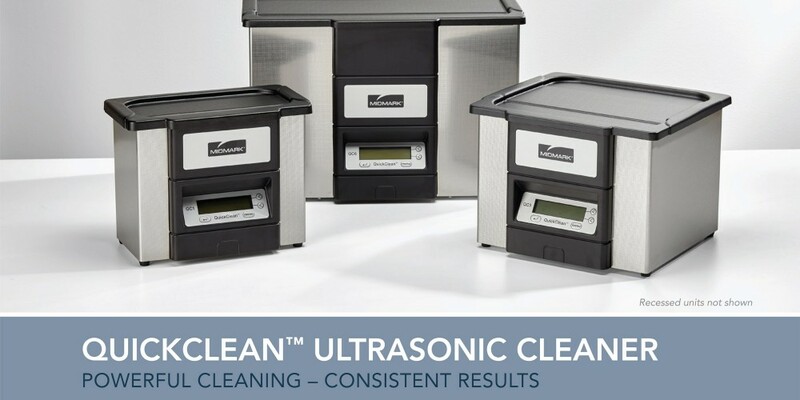 This 3300 Series is perfect for long days by providing comfort and durability. 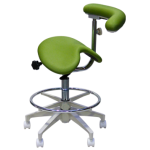 Conto..
9000 Series The original ergonomic stool The 9000 Series stool assists your back muscles by maintaining your spine's normal, natural position. 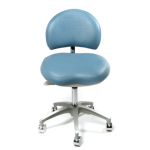 It's d..
9200 Series The Best of Both Worlds The best of both worlds, this dental seating features the deeper seat from our 9000 Series coupled with the smaller sleeker backres..
DynaCore 9400 Series Provides a Safe, Progressive Way to Activate and Exercise the Core Muscles ..
Standard FeaturesStool: Triple Lever, Independent AdjustmentSeat: Advanced Molded ContourArm: RatchetingCylinder: Tall - Metal BaseFoot Ring: AdjustableBase: Chrome BaseCasters: 65mm, Two Tone Grey, H..
Standard featuresStool: Single Lever adjustmentBack: D-ShapedSeat: RoundCylinder: Standard - Plastic BaseBase: Plastic BaseCasters: Carpet - BeigeCushioning: Standard FoamUpholstery: Standard vinylBen..
Standard Features Stool: Dual Lever Adjustment Seat: English Style Saddle Arm: Ratcheting Cylinder: Tall - Metal Base Foot Ring: Adjustable Base: metal Base ..
Color: Carbon Silvertex OnlyStandard FeaturesStool: Dual Lever AdjustmentSeat: English Style SaddleCylinder: Tall - Metal BaseBase: Polished TopCasters: Carpet - Black Hard FloorCushioning: Addi..
Standard FeaturesStool: Triple Lever, Independent AdjustmentSeat: Advanced Molded ContourCylinder: Medium - Metal BaseBase: Chrome BaseCasters: 65mm, Two Tone Grey, Hard FloorCushioning: Closed Cell I..
Standard features Stool: Single Lever adjustment Back: D-Shaped Seat: Round Cylinder: Standard - Plastic Base Base: Plastic Base Casters: Carpet - Bei..
Standard Features Stool: Single Lever Adjustment Back: Large D-Shaped Seat: Contoured Cylinder: Standard - Plastic Base Base: Plastic Base Casters: Ca..
Standard Features Stool: Dual Lever Adjustment Seat: Western Style Saddle Arm: Ratcheting Cylinder: Tall - metal Base Foot Ring: Adjustable Base: meta..
Color Chart PDF. 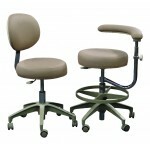 for PrintStandard Features Stool: Dual Lever Adjustment Seat: Western Style Saddle Cylinder: Tall - Metal Base Base: metal Base Casters: Carpe..
Standard Features Stool: Dual Lever Adjustment Seat: English Style Saddle Cylinder: Tall - Metal Base Base: metal Base Casters: Carpet - Beige Cushion..
Standard Features Stool: Single Lever Adjustment Seat: Round Arm" Ratcheting Cylinder: Tall - metal Base Foot Ring: Fixed Base: metal - Fully Powder C..
Full Featured Stool For Tall/Plus Size Operator Standard Features Stool: Triple Lever Adjustment Back: Half Moon Backrest Seat:..
Standard Features Back: Rib Hugging Back Seat: Bowl Shaped Cylinder: Standard - Metal Base Base: Metal Base Casters: Carpet - Beige Cushioning: Standa..
Standard Features Stool: Triple Lever Adjustment Back: Triangle Seat Contoured Arms: Two Ratcheting Arm Rests Cylinder: Standard - metal Base Base: metal - Ful..
Standard Features Stool: Dual Lever Adjustment Back: D-Shaped Seat: Small Hybrid Saddle Cylinder: Standard - Plastic Base Base: Plastic - Beige Caster..
Assistant Height Adjustment: 21" - 27.5" Dr Height Adjustment: 18.5" - 25" ..